Dr. Marquis is our dedicated optometrist. She has worked at Brandon Eye Associates for many years and even to this day is very passionate about what she does. She began her career at SUNY Binghamton where she graduated with a B.A. in Chemistry. She then went on to optometry school, earned an OCNY award and graduated from the SUNY College of Optometry in New York. Later she would go on to earn her American Board of Optometry Board Certification which is only awarded after demonstrating above level continuing education to advance the knowledge and skill to deliver excellent eye care. This certification is achieved by passing a rigorous exam and keeping up wth the new developments in the eye care field. After practicing in New York for several years, Dr. Marquis moved to Florida and joined Brandon Eye Associates in 1996. She is proud to be part of the team. Her specialties include not just primary eye care, but also contact lens fitting. Her refractive skills make her the best choice for patients experiencing difficulties with their glasses especially for those with double vision issues. She most recently has started fitting scleral lenses. These new lenses are great for patients with keratoconus and other ocular surface issues such as Salzmann nodules and corneal scarring. Scleral lenses can help some patients achieve better vision than they would even with their glasses. Such lenses have helped many patients return to a more active lifestyle with their new clearer vision. 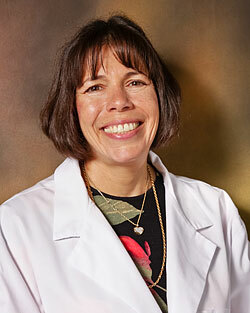 Outside of work, Dr. Marquis has been married over 20 years and has an active tennis playing daughter. She also has two feline family members whom she adores (by the way, she also likes dogs). As an avid runner, she has completed several 5ks, 10ks and a few half marathons including Gasparilla nad the Disney marathon. She has completed many of these runs to help raise money for local community charities. She loves scrapbooking and has a large collection of memory books. Dr. Marquis is a member of the American Optometric Society, the Florida Optometric Society and the Amercan Board of Board Certified Optometrists.